is not a new concept. However, the platforms used to conduct it have, more recently, been percolating their way through all aspects of society. As such, Social Selling – or the art of developing one-to-one relationships at scale with your customers – is now seemingly endemic throughout the business world. 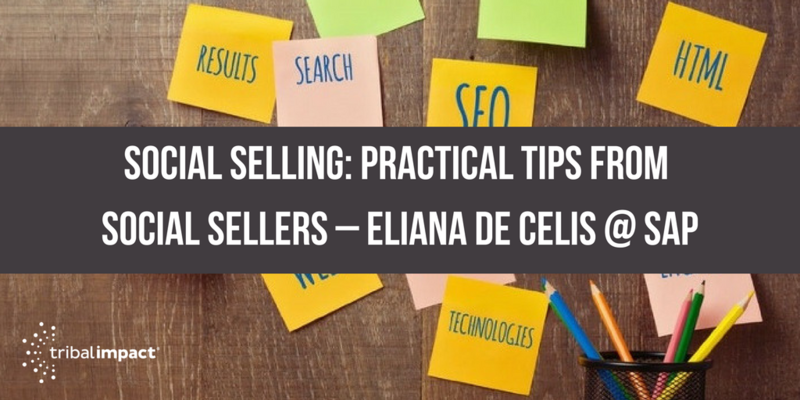 In this, the third of a series of blog posts, I interview Eliana De Celis, a Social Selling professional at SAP, who has mastered the art of relationship building at scale and across borders! 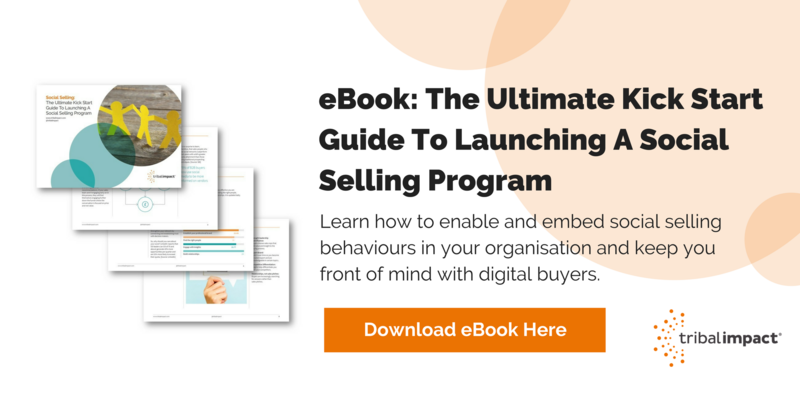 Download our FREE Social Selling eBook and Learn How to Kickstart your Social Selling Program. I’ve worked for SAP for over three years and am currently based in Argentina. Much of my experience has been in Commercial Sales (my background is sales within the technology industry) and I’ve just moved into an Industry Account Exec role. Most of my Social Selling skills have been applied in the Commercial Sales setting, where my role was ‘new business’ driven. I had between five and six thousand new accounts across multiple industries from media to banking and healthcare. Social Selling is about reaching as many people as possible but through building relationships – that bit, building relationships, on a massive scale in a role like this. It really comes down to building a relationship with a customer before they even recognise there’s a buying need. It goes hand in hand with ‘Social Listening’; I can recognise opportunities where I know I can help my prospects and customers. If I enter the conversation early enough, I can support the buyer through their decision-making process. It also allows me to open doors and speak to interesting people. How does LinkedIn Sales Navigator help in your role? First, I can drill down on accounts. It’s a powerful search, which enables me to focus my attention, profile target accounts and select the top 20 or 30 to focus on. Once I’ve researched profitability and industry trends, I can find the people I need to engage with, add them to Sales Navigator and monitor what they’re interested in. LinkedIn Sales Navigator will also alert me to any changes in their business that might trigger an opportunity; events like acquisitions or financial news. Most importantly, it allows me to target my time. I get feedback and opportunities are flagged. I find out about things like role changes, which are a prime opportunity to sell as you can engage your new contact early and help build their vision. How do you feel Social Selling has changed the way we sell? It’s all about building rapport and relationships – but on a massive scale. And your thinking patterns change too. For example, I work with a charity in Argentina that builds homes for homeless people – TECHO. I noticed that one of my customers was also involved with the charity so we had a common interest. I always use whatever I can to find an icebreaker like this – Google names to look for stories etc, as well as using LinkedIn. And it works both ways: through TECHO I started working with a building company who has since become a customer with SAP. At the end of the day, sellers and buyers are human beings. Relationships need to work first. The transactional stuff now takes second place to making an impact, being remembered, and adding value to a relationship. You need to be the subject matter expert that your customer needs; the go-to person with expertise. It’s led to better results when searching for people and doing research. Prospect searches now yield results for me nine out of ten times. I also find it easier to profile a location I don’t know. My territory once included Peru. I’ve never been there but I can tell you the name of the biggest supermarket chain in the country. 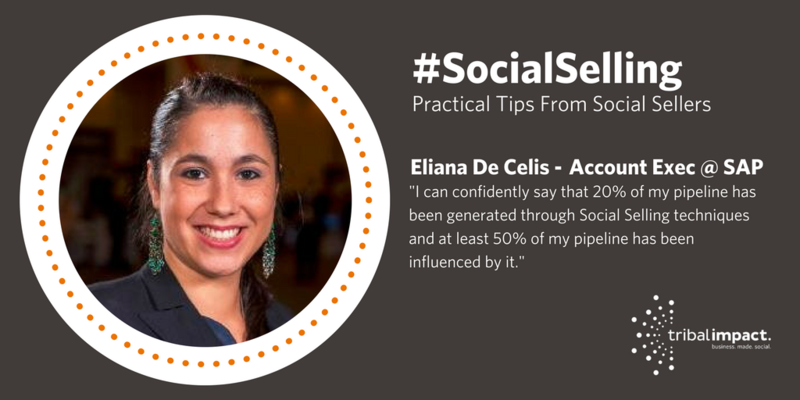 I can confidently say that 20% of my pipeline has been generated through Social Selling techniques and at least 50% of my pipeline has been influenced by it. Every time I engage on social media and a conversation or meeting is triggered, that’s influencing my pipeline. What does a typical daily routine look like for you when Social Selling? Every morning, I spend 15 minutes reading and sharing content to my social networks. Sometimes I schedule it for the coming days but ultimately I can be efficient with my time, stay up to date with industry news and keep all my profiles current. I then go to LinkedIn Sales Navigator and review the important news; like, comment and share anything relevant and check out any job changes or suggested leads. Once a month, I find a few hours to do a blitz of LinkedIn. I work through and use my InMails. I’ll focus on a specific industry and build a core message that can be adapted and targeted. What would you say to non-social sellers? If you’re not doing it, then someone else is doing it to your accounts. It’s a long game though. Don’t give up just because you don’t see instant results. One social engagement doesn’t lead directly to a sales opportunity. Keep an open mind and persevere.